I know I've been MIA for the past few weeks, but I've finally finished with the semester. I've turned in all of my finals and projects and now I have some free time to focus on blogging. We still have a lot going on with my sisters Wedding (she's getting married on New Years Eve) but I will have time to read & review again. I've also got a few blog tours scheduled for this upcoming week, so please stop by to check those out! I only received one book this week and it was a surprise. I haven't really had the chance to catch up on all of my requests and emails, which is good because I am running a bit behind. 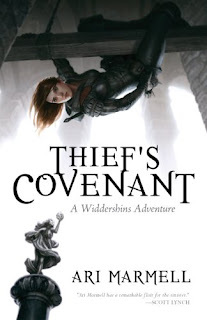 But the lovely folks over at PYR books (honestly, they are amazing) sent me a review copy of Thief's Covenant by Ari Marmell. Oh, I love the sound of this book! You're so lucky to get a review copy. I hope you like it! Happy reading! Here's my In My Mailbox post for this week. I love books about a thief! Just checked out Torn by Ashley S. Morgan. 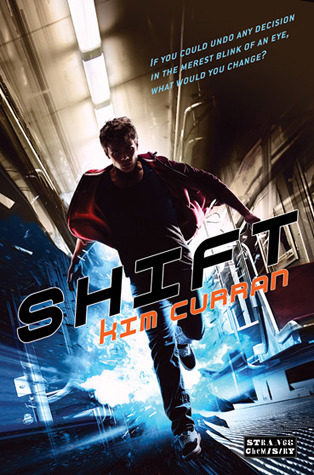 The cover and the blurb seemed intriguing, so I decided to give it a try. I couldn't put the book down. I literally got through it in 6 hours. It was that good. Apparently she's published before, but I can't find anything else about her, except for the little bit she has on her website. Do you know anything about this author? I'm dying to read more of her stuff.